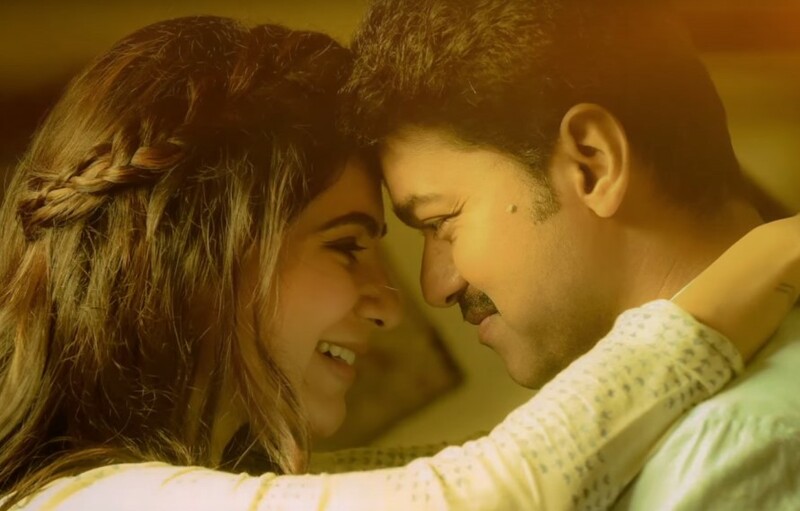 Neethanae song is finally released on Internet as per the announcement was made by the Sony Music India on August 16th Wednesday. Also, the actor Vijay’s lead Mersal Melody, Neethanae song teaser has released early the release of song in the same day by the Mersal Music owned company. As the same of Mersal first single Aalaporan Tamizhan single release, the new Mersal Melody is available on Apple Music, iTunes, Saavn, Wynk Muisc, gaana.com, hungama.com, JioMusic, Idea Music Lounge. Song Links will be available here shortly. Fans need to purchase the second single from Apple Music. Also, can listen to iTunes directly if you are Apple user. Also, the Sony Music India launched the song on other online music streaming websites. Saavn is available as a website and also as a mobile app. In this music service, fans can only able to listen online. Need to purchase to listen offline. JioMusic is one that providing offline as freely for all the songs. So, it is best to listen Neethanae full song by downloading to offline mode. The Neethanae lyrics video song will be available on YouTube from August 18th Friday. So, we can expect more new images of the song and also from Ilayathalapathy Vijay’s Mersal. Currently, the production company is working hardly for the grand Mersal audio launch event will held on August 20th Sunday. Recently an fun working picture of the CEO of Thenandal Entertainment Hema Rukmani, the Marketing head of the production company Aditi Ravindranath and the Television anchor Ramya Subramanian has out on social media. Also the Nehru Indoor Stadium stage and settings works are in process for the ever big audio launch in Tamil cinema. Thalapathy Vijay fans can shot their questions on the anchor Ramya Subramanian’s twitter page who will be hosted the Mersal Audio launch on August 20. She said that she will try her level best to get answer from Vijay for fans in the audio launch event.